iSimangaliso Wetland Park is a Unesco World Heritage site about an hour’s drive north of Richards Bay. The park is famous for its resident hippo population and other wild animals, but also has an incredibly diverse ecosystem including a lake and estuary, sandy beaches, wave-pounded shores and hilltop viewpoints. We toured the southern portion of the park, through the Western and Eastern Shores, and saw several animals we’d not seen before in the wild and really enjoyed the scenery. The highlight of the day was, of course, the wonderful hippos. A spectacular Richards Bay sunrise. 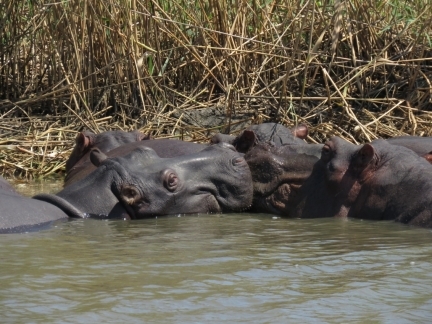 A popular way to see the hippos at iSimangaliso is to take a boat tour through the estuary. 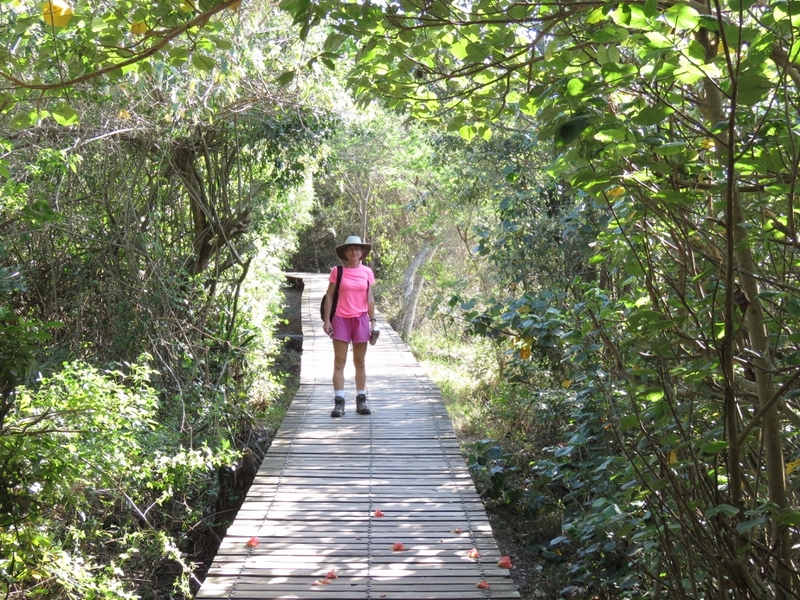 We’d arrived a little early for our boat trip, so took a quick walk along the estuary boardwalk. 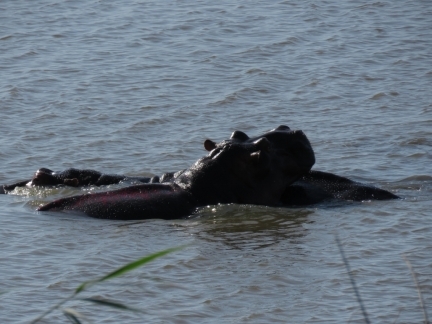 Within minutes of stepping onto the boardwalk, we saw several hippos cavorting in the estuary. This is the first time we’ve seen any in the wild. 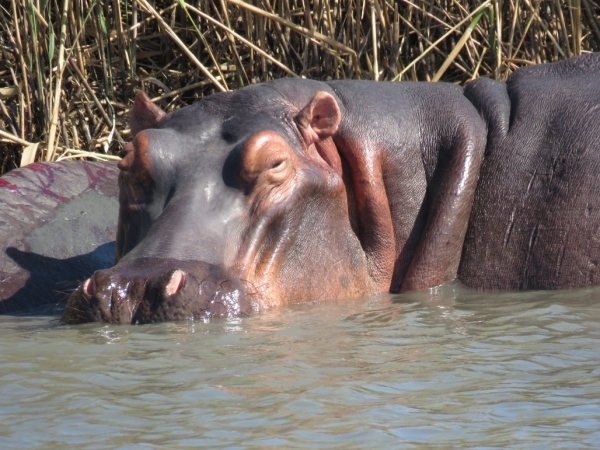 We’d booked an 8am 2-hour boat trip with Advantage Tours, but they’d lost the reservation and had no boat scheduled until 10am. 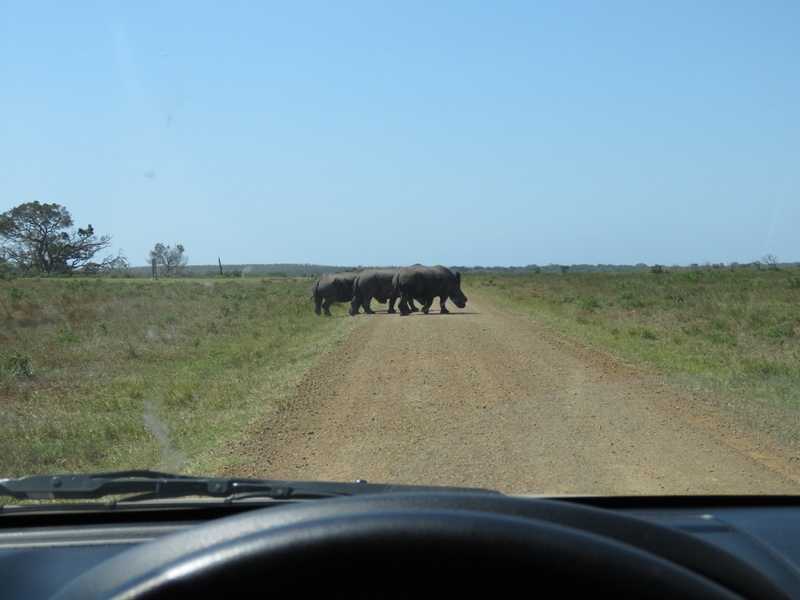 We could have gone on that later trip, but that would have broken our day up too much, so we decided to do a self-drive tour instead. 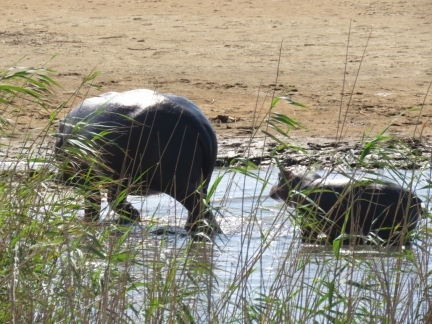 We drove over to the Estuary Beach at the other end of the boardwalk and walked back to where we’d seen the hippos earlier. They were still there, and this time they were out of the water walking ashore to a smaller lagoon. 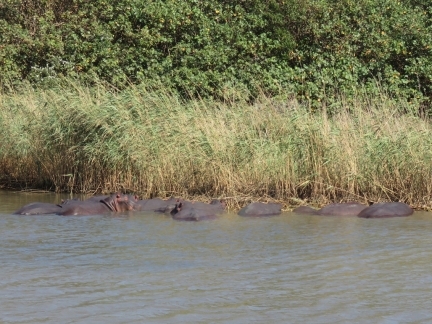 The hippos had tucked themselves against the west shore after crossing into the lagoon, so we walked to the opposite shore to get a better view. 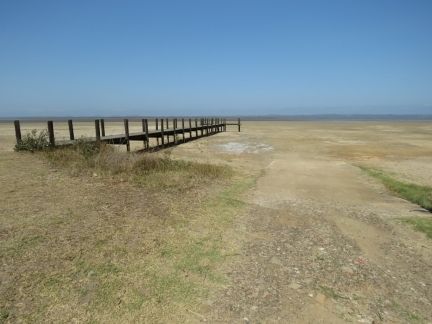 The water levels in the estuary are very low right now, partly due to drought. The satellite imagery shows water where we are standing on dry land. We spent ages watching the hippos and listening to their grunts and groans as the shifted about. They were wonderful. A late breakfast along the Indian Ocean at Estuary Beach. The scenery here is fabulous. 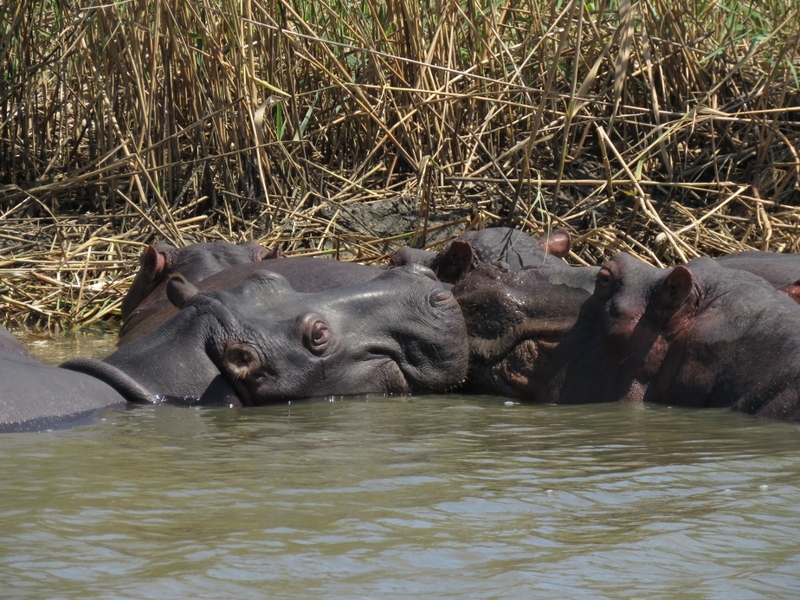 We couldn’t get enough of the hippos, so went back for another look before continuing north. 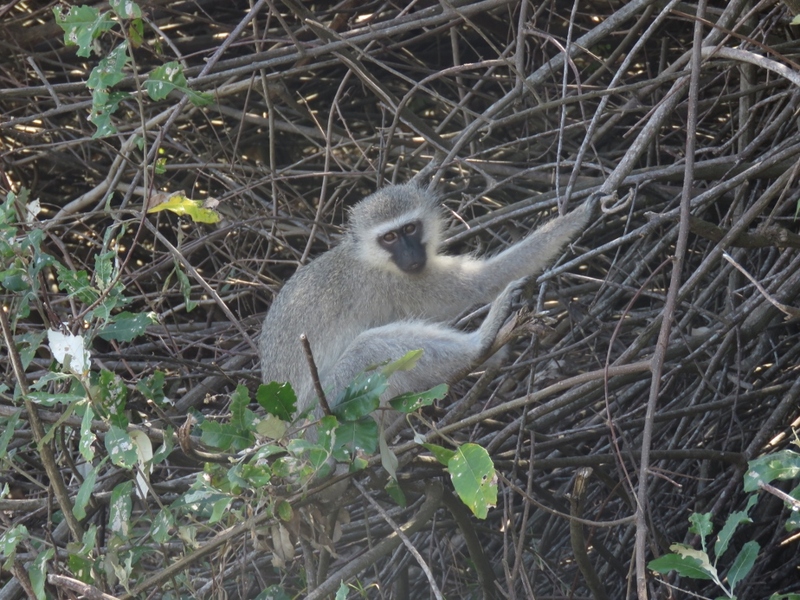 Several vervet monkeys were in the trees just along the road off Main Beach. 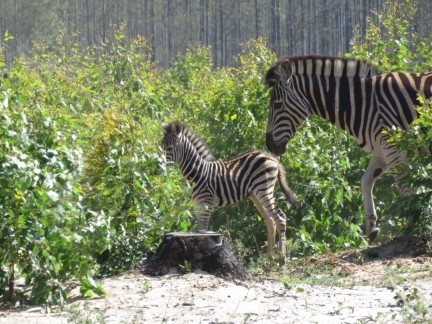 Another new animal sighting! iSimangaliso Wetland Park also has crocodiles–we’d seen some in the water when we crossed the estuary as we first arrived in the area. 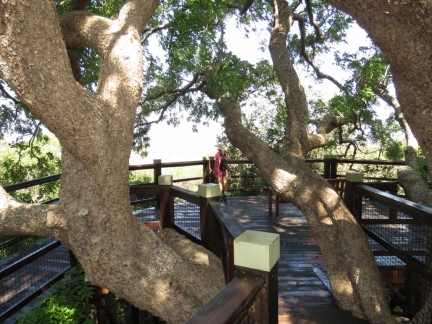 The Crocodile Center has crocodiles in captivity for viewing. We parked the car there to check it out, but found a series of nature trails that we walked instead. 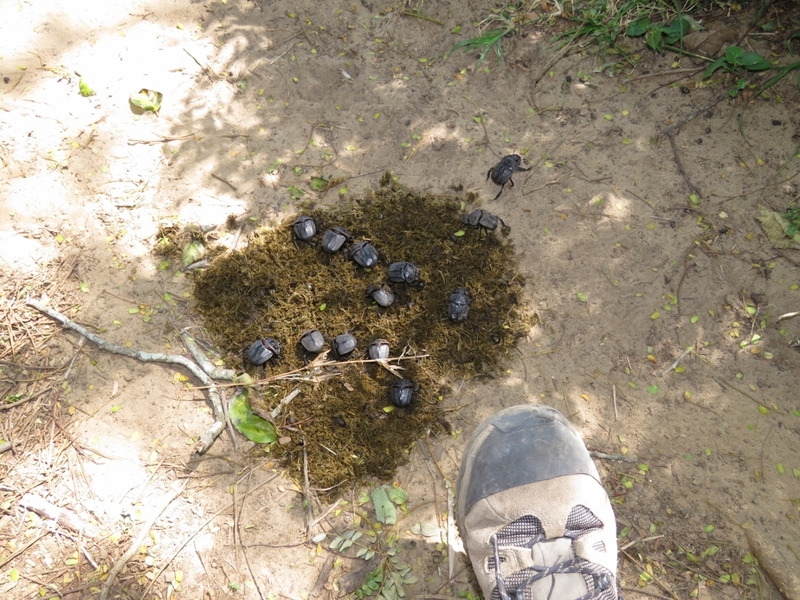 Large dung beetles were common along the trail. 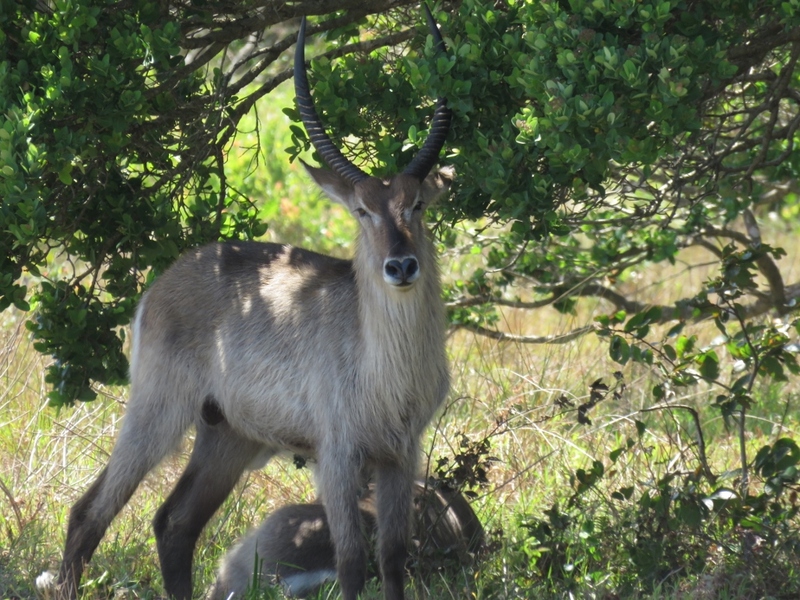 A large herd of striking waterbuck were in a field off the trail and we were able to get surprisingly close. 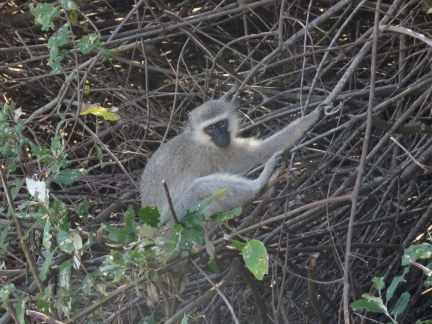 This is another new animal sighting for us. 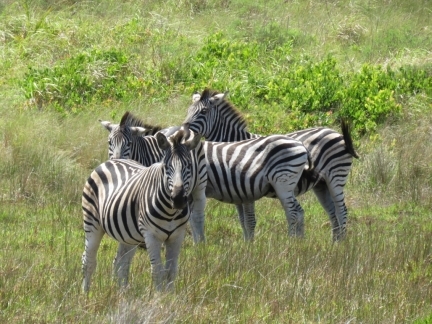 A small herd of zebra also were just off the trail and, like the waterbuck, let us get quite close. Looking east to the Indian Ocean from the Mount Tabor Lookout. The view west from the Mount Tabor Lookout across the plains to Lake St. Lucia. A huge area around the like is dry, giving a good indication of how low the water levels are now. 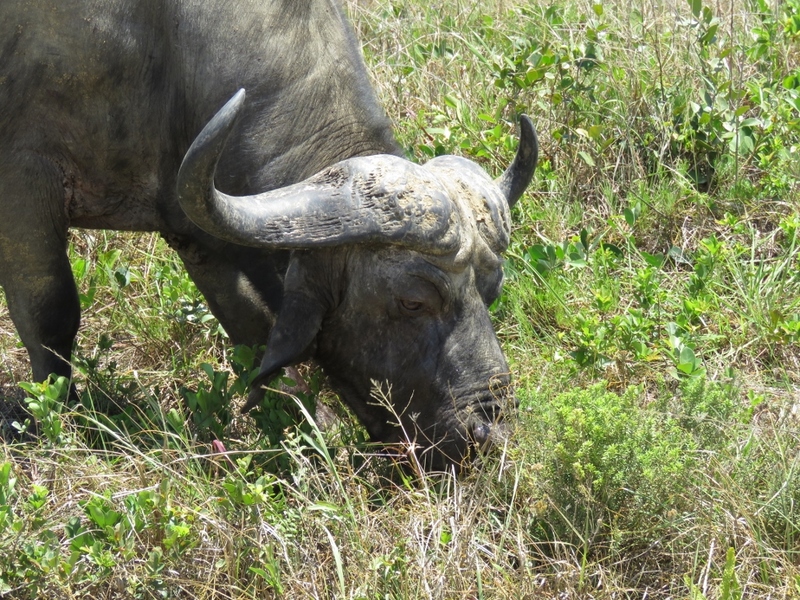 A buffalo was grazing right beside the road down to Mission Rocks. It completely ignored us as we took photos. Lunch perched above the Indian Ocean at Mission Rocks with the waves crashing ashore below us. 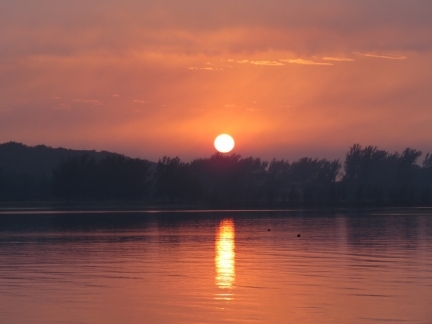 We never tire of being near the water and always seek it out. We’re really enjoying the diversity of the scenery in this park. 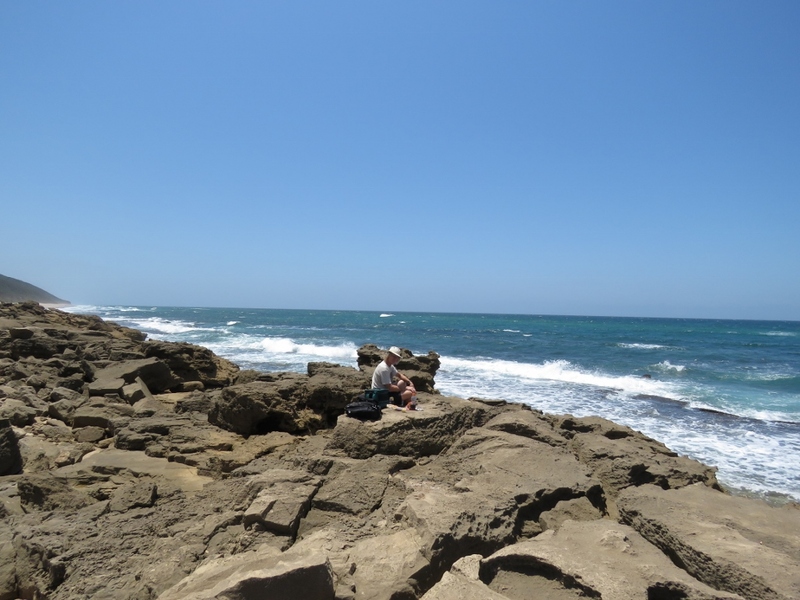 We turned back from the Eastern Shore section of the park at Mission Rocks to save time to visit the newly-accessible Western Shore. 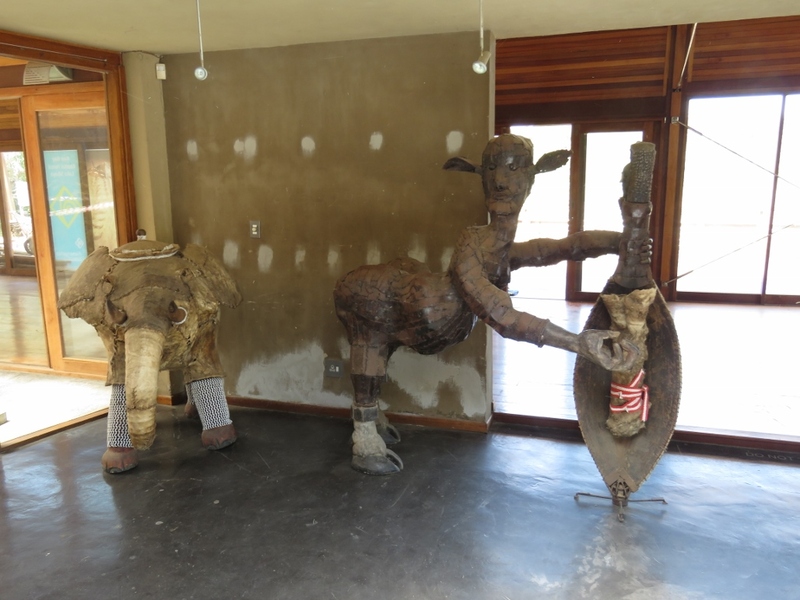 On the way, we stopped off at the Siyabonga Craft Center for a view over the estuary. The center was partly under construction, but had some incredible art work on display. 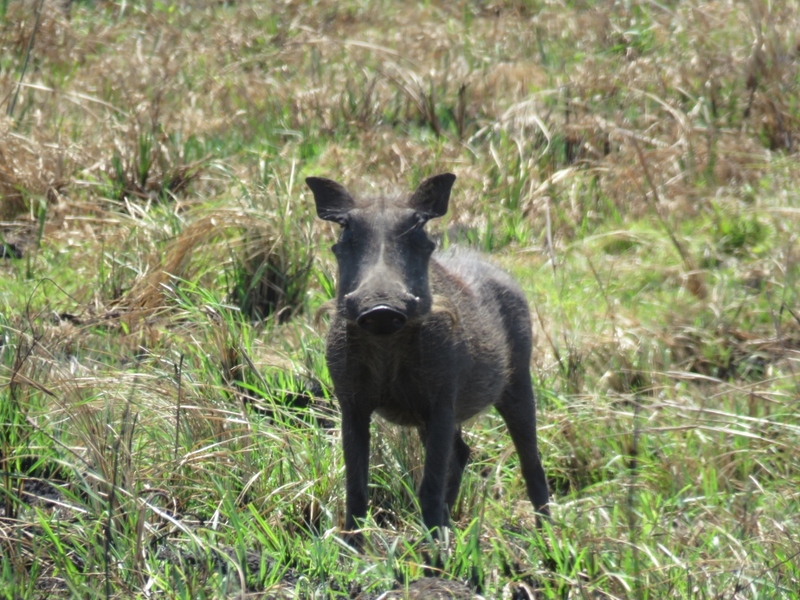 A small herd of warthogs scurried off as we approached, but turned back to give us defiant stares. 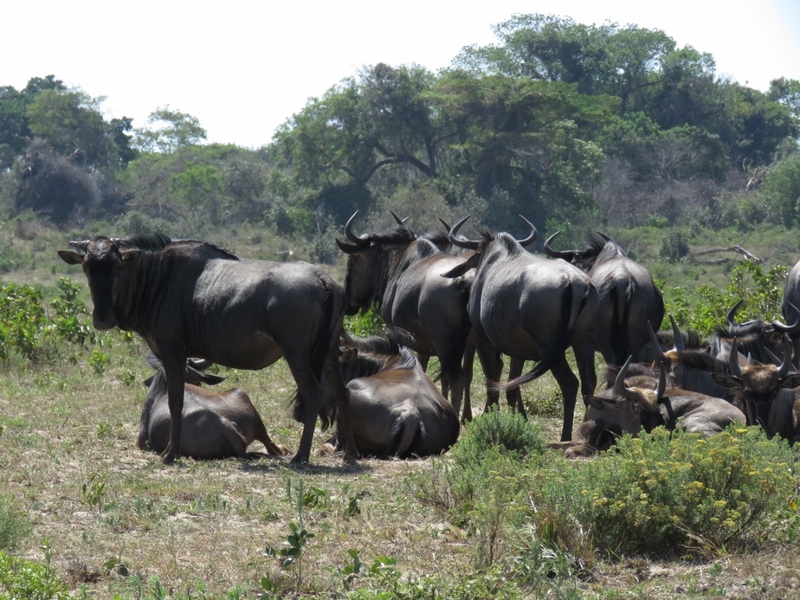 A herd of blue wildebeest just off the road. 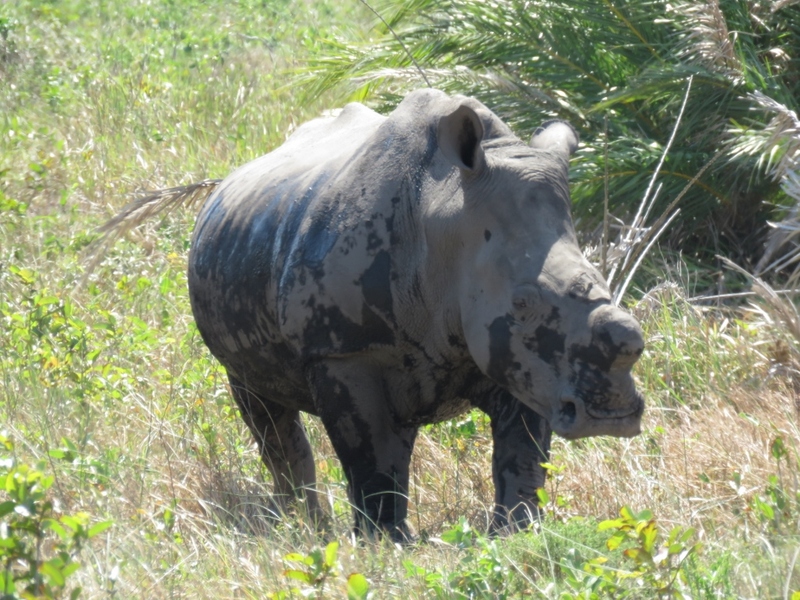 At iMfolizi Game Reserve, we’d seen white rhinos in the wild and black rhinos in the enclosure, but this is our first sighting of black rhinos in the wild. They apparently are less commonly seen as they don’t stay in the open much. 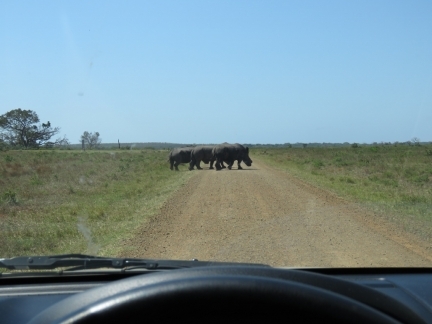 Why did the black rhinos cross the road? We walked a short loop track from a parking lot to the beautiful uMthoma Aerial Boardwalk, perched amongst the treetops with view across the estuary. You can really see how low the lake levels are. 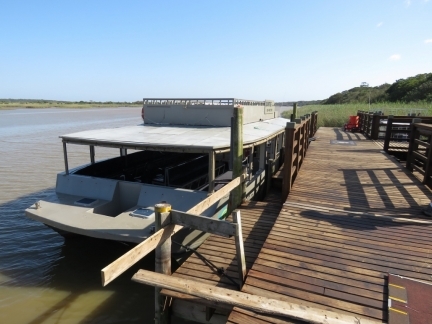 It’s a long way to the water from that boat launch to the right of the dock. We just caught a photo of this baby zebra as it hurried for cover when we were leaving the park. I am sure you all read the net but a world wide alert for Americans abroad has been issued in regards to terrorism. This also includes the terror group that operates in Africa. It’s hard to read the news and not be sad about the declining world security. There is no question it is a big world-wide problem and, in some regions, such a big problem that we will chose not to go there. 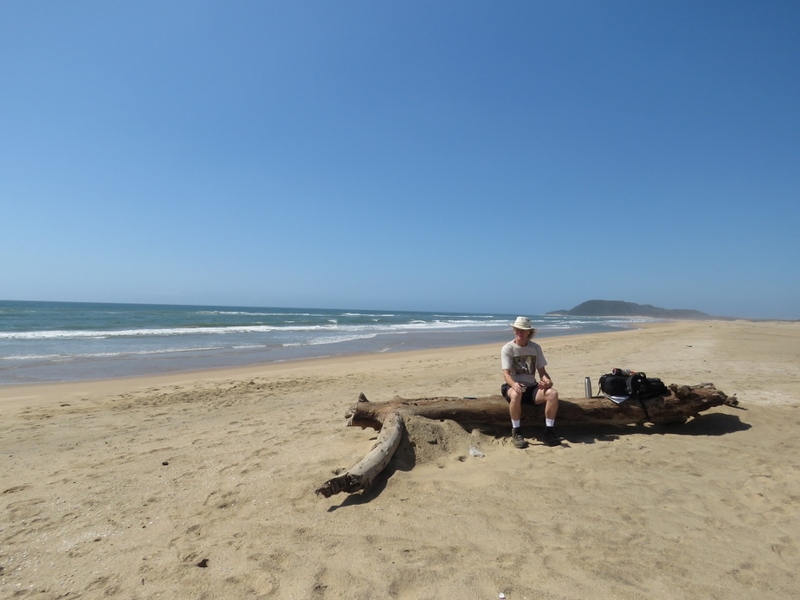 Fortunately, the vast majority of the world is full of good people living in great places to visit. All we can do is hope the world-wide situations improves and, in the mean time, enjoy those places that remain sufficiently safe. I agree on the state of affairs and hope to see world wide peace before I leave this planet and if not then hope my kids will experience it. 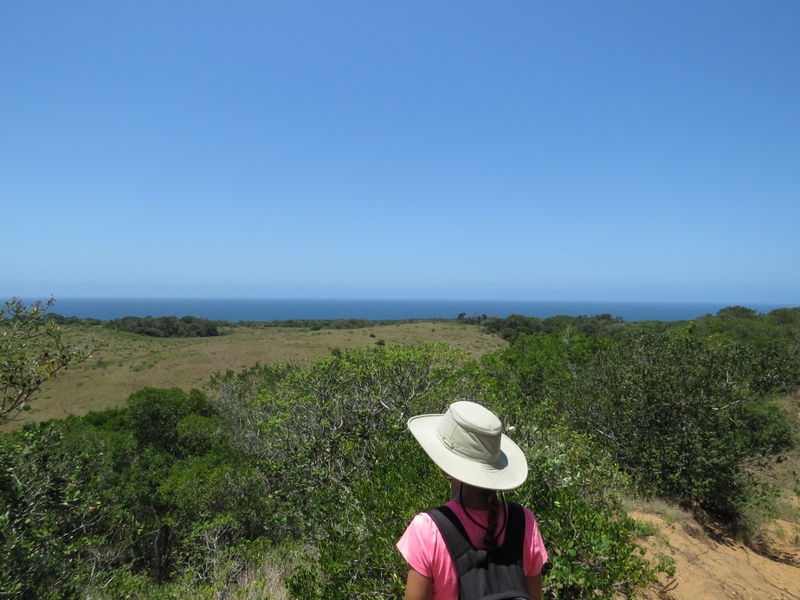 Anyway back to what is fun….How long will you be in Capetown and what is your destination upon leaving there? As you know by now I am a boat geek so the operation/cruising part is my addiction. We plan to be here until at least mid December and likely end of December before getting underway for St. Helena. I know you are no where near Liberia but there are reports of another Ebola outbreak going on. Stay safe.